We recently featured our art educator, Carolyn Eby, in our bi-weekly Teacher Feature. We thought it would be great to take another look at the work she is doing with all of our age groups. Check out some of her great ideas! Carolyn used frozen paints and invited each child to mix them with other colors on their tables. After which, she took a mono print of their work. Children later ripped the mono print to create a collage – a fun activity that also helped them build important fine motor skills! This sand paint, made with puffy paint and baking soda, was delivered straight to the toddler class in dump trucks — the perfect accompaniment to their study of, you guessed it, trucks! Our preschool students join Carolyn every afternoon for art. Here we see them exploring color with the help of a light table. They also used eyedroppers and watercolors to explore what happened when the colors ran together. So focused! Like the three-year-olds, the fours join Carolyn every afternoon. Here she took a common theme, shapes, and added depth. On the floor, the students are participating in a drawing game in which the dice indicate a color and a shape. Then, she had the class paint with sponges cut into specific shapes. Finally, she has them cutting shapes to match an artwork. They approached the concept in a variety of ways and thus, got a deeper understanding of it and had a lot of fun! Congratulations parents, you made it through the summer and the first month of school! By now, I hope you are settling into a routine and finding that you have a few free afternoons to enjoy this glorious time of year. While many of you are out apple-picking or in the pumpkin patch, the National Mall is another viable option. It can offer a cost-friendly opportunity where you can divide your time between the museums and taking in the beauty of the Nation’s Capital. For this year’s fall picks, we have two categories: autumn-inspired exhibits and newly-opened features. PreK class making their own Arcimboldo portraits. Four Seasons in One Head is tucked deep inside the National Gallery’s main level in a room that is often forgotten but should never be ignored. Arcimboldo, known for his distinctive portraits in which faces are formed from natural materials, depicts the four seasons in this image. This portrait has an element of mystery that will pique a child’s curiosity and it offers a strong connection to what your child is observing everyday outside. To make deeper connections bring along straw and autumnal fruits for the child to touch and interact with during your visit (note: keep all materials in a sealed plastic bags). Artifact Walls- You Must Remember This at the National Museum of American History is a no-brainer when it comes to fall-themed visits. Situated adjacent to the Warner Brothers Theater in the Constitution lobby of the National Museum of American History Museum, the cases showcase a selection of Hollywood costumes. In the past, it has featured such classics as robes from the Harry Potter films and Super Man’s cape. With Halloween fast approaching, this is a great stop for the family who wants to brainstorm costume ideas. It is also a learning opportunity for children to think about the process of costume making. PreK children might enjoy sketching their Halloween costume or working with an adult to make a list of materials you will need for the costume. These simple activities will encourage fine motor development and planning skills. Younger children might enjoy reading a book where one of the costumes are featured or simply bringing a favorite book in which a character wears a costume. Food: Transforming the American Table 1950–2000 also at the National Museum of American History is the perfect stop as we begin to approach Thanksgiving. This exhibition demonstrates the inclusive nature of American culture as seen through food. Young children can see examples of our multicultural food identity in their everyday lives as they accompany you to the grocery store or eat at a local restaurant. Before your museum visit, identify foods in your kitchen that originate from countries other than America and then see if you can find them in the exhibition. Infants and toddlers, on the other hand, might enjoy taking a stroll through the space and matching cooking implements from home with ones on display. End your visit by sitting at the large table planning your Thanksgiving meal or reading a book about family meals. Don’t forget that the Smithsonian is also home to the Discovery Theater. On November 23 and 24, the theater will host Mother Earth and Me: Sister Rain and Brother Earth. This interactive musical uses life-size puppets to tell the story of Mother Nature and her determination to save the Earth from drought – with the help of the audience. Recommended for ages 4-8, this story conveys the importance of working together to protect the Earth. The Great Inka Road, The National Museum of the American Indian has it all! It is brand new and showcases the museum’s cutting edge collaboration with the company ideum to capture 3D imaging of the ancient Incan capital of Cusco. 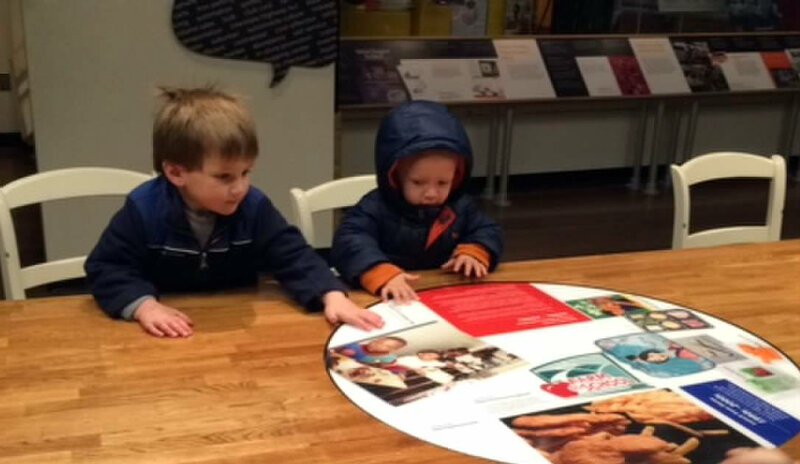 The images can be viewed on an interactive touch table and are completely spherical. This technological innovation allows visitors to move through the images in all four directions and transports viewers into the space of the pictures. But that is far from the only interactive element. The exhibit also features several video and audio elements which include bilingual storytelling and two “flythrough” stations where you can take a virtual tour of Cusco. Family workshop participants heading into the Sackler Gallery. Sōtatsu: Making Waves opens October 24th at the Arthur M. Sackler Gallery and based on prior experience, this will be a great stop for the family. 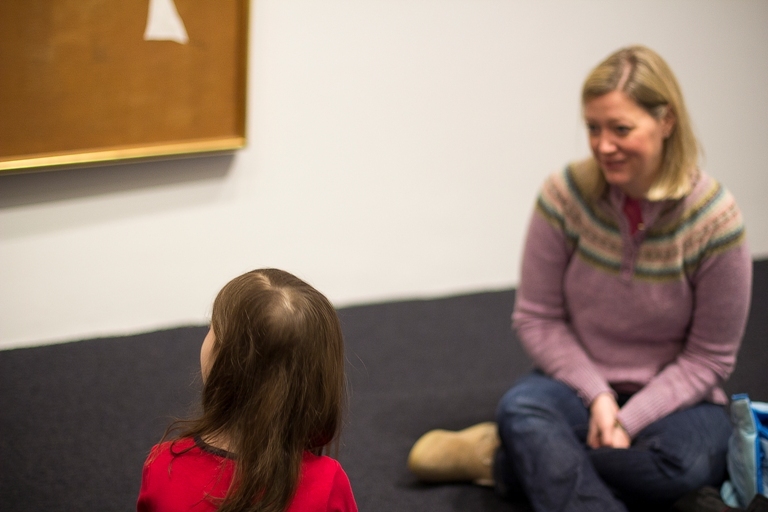 The spacious galleries in the Sackler are often quiet and work well for families who might need a little space. If the two screens highlighted on the Sackler’s website: Waves at Matsushima and Dragons and Clouds are any indication, the exhibition will be full of lively, dramatic imagery that will capture a young child’s imagination. In addition to featuring large-scale Japanese screens (perfect for young viewers) hanging scrolls and fans will also be included. It is a great opportunity to introduce young children to these mediums and experiment with making your own versions. 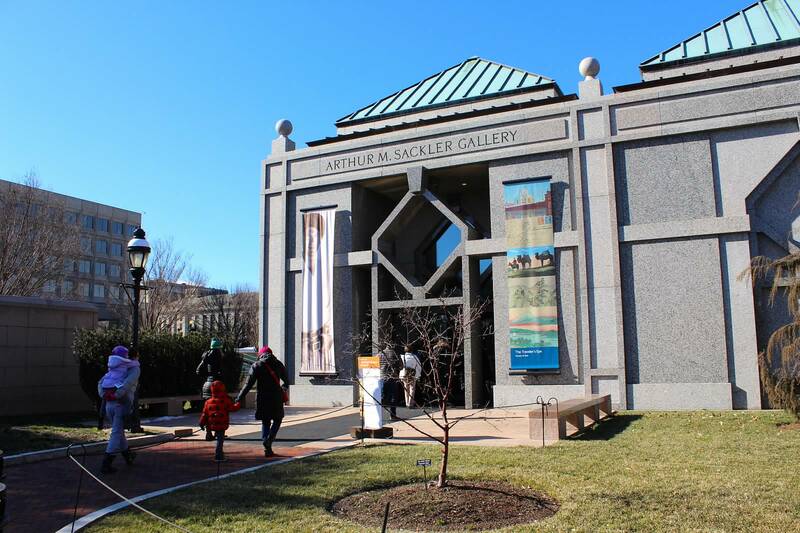 Don’t forget to check out the ImaginAsia classroom schedule on the Sackler’s website for the all-ages offering tied to this exhibition! It’s that time again! Many of our nation’s teachers are preparing their classrooms for the first day of school and so we wanted to share with you what some of our SEEC teachers are planning to include on their bookshelves this coming fall. Before school ended this past week, I interviewed several of our teachers to get their perspective on back-to-school books and here’s what I learned. Many of our infant and toddler teachers lamented that there weren’t a lot of options for their young students. They were opting for making homemade books like the one featured to the right that documents a trip to their new classroom. This group of toddlers will be going to a new center, so the teacher thought it was especially important to have something to ease into a new location. I liked that the book highlighted the children’s feelings and pointed out some exciting new components of the classroom. I guess you could call it an end-of-the-year book, but since it will be with them in their new classroom too it still bridges their experiences and offers them continuity. Many of our teachers also like to create individual books for their students that include photos of family, special events or things the child likes. These types of books can be a great source of comfort at any time of the year when they need a little extra soothing. They also help classmates learn about each other. At least four teachers said to me that they weren’t necessarily looking for back-to-school books for September. Rather they wanted books with which the children were familiar. Having these books were important because they built in a familiar component that would help their students feel safe and more easily transition to their new teachers and routines. This was especially true of the teachers in our toddler and twos classes. Here were some of their top recommendations. Brown Bear, Brown Bear, What do You See by Bill Martin Jr.
Our current Kindergarten teacher shared that when she was teaching in Europe she stumbled across the book, Mommy in My Pocket by Carol Hunt Sendarak. She said she fell in love with the book and its story of a little girl who imagines shrinking her mother so she can accompany her to school. In the end, she realizes that she will be fine on her own as she carries the memory of her mother’s hug and kiss. Our teacher, Cathryn, took the book a step further and had her students bring in a photo of their moms/caretakers and adhered it to the shape of a person. The children were invited to “dress” the body by coloring in clothes. When they were finished, she attached it to a heart, which was then glued on top of a cut-out pocket shape. Finally, she attached yarn to the pocket so the children could wear their “caretaker pockets” like a necklace. After their project was done, the class sat together and talked. She recounts that she would ask about their feelings or other objects that they might want to bring to school with them. Many of our PreK teachers said they like to use the beginning of the year to teach about what makes their students special or unique. One PreK-4 teacher praised Tacky the Penguin by Helen Lester for not only honoring everyone’s differences, but also just being silly. Another teacher suggested Ian Falconer’s Olivia because of how it embraces the character’s unique spirit – plus, it doesn’t hurt that the book showcases a visit to the museum where Olivia encounters paintings by Degas and Pollock – a very SEEC moment. Though not really about back-to-school, this book features the relationship between student and teacher and introduces children to the concept of having different perspectives. This one is for the parents out there! It is a personal favorite that helped both my children transition to Kindergarten. Creating a cozy corner, can be as important as the books. Have fun creating a space that is quiet by sectioning it off from the classroom buzz. Use inviting colors, comfortable furniture and include soft, soothing objects. Such a space will undoubtedly help with those first day transitions as well as difficult moments throughout the year. Hope these give you some fresh ideas! Happy back-to-school. It has been a long time coming, but spring is finally here and it is the perfect time to introduce your child to some of the changes that are occurring right in front of their eyes. I recently did a lesson on clouds for a family workshop and that, coupled with, some fantastic lessons from my fellow teachers was the inspiration for this blog. These ideas are a blend of natural observation, art, science and museum visits and have all the components of STEAM. STEAM is a popular and important educational movement, which advocates for using science, technology, engineering, art, and math as a means through which children can learn and develop critical thinking skills. Parents, remember you are your child’s teacher too. When you teach them you are expanding their world, sharing your interests and bonding. Don’t feel like you have to be a Pinterest guru and spend hours developing a lesson or buying materials. Instead, keep it simple and have fun by using ideas that are easily accessible and follow your own interests. Walk outside during a light rain and enjoy the feeling of the water or notice the water droplets on the leaves. Feel the ground after a rainstorm and notice the difference in texture and weight when it’s wet. Notice how the sidewalk changes color after its wet. Take a picnic to a nearby park and spend time observing the clouds. Look for shapes and movement. Fill a cup with water and top it off with shaving cream. Add food coloring. Eventually the food coloring will begin to fall when the shaving cream is too full, just like rain falls when a cloud is too full of water. For infants and toddlers, they will enjoy watching the color and might not understand the concept of the cloud, it will help them understand from where rain comes. Consider using different colors and having fun with it. Eric Carle’s The Cloud works well for infants through preschoolers. When you are reading to your child, remember to include them in the book too. In this book, for example, you could ask them what sounds a sheep makes or encourage them to move their arms like a wave when the cloud passes over the ocean in the story. 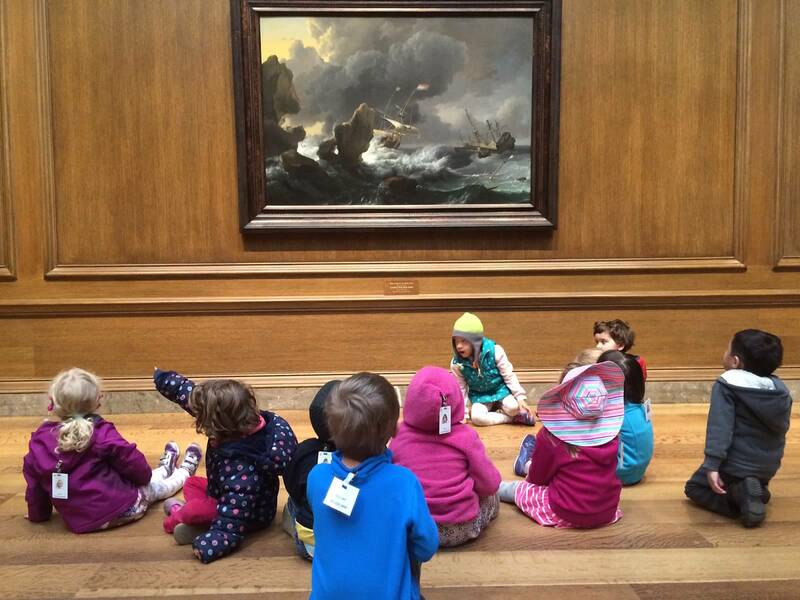 Choose a straightforward piece like Ships in Distress of a Rocky Coast by Ludolf Backhuysen at the National Gallery of Art and bring a few simple scarves to reenact the wind from the storm. Choose something more imaginative like the Dangerous Logic of Wooing by Ernesto Neto at the Hirshhorn Museum and Sculpture Garden. We made tactile clouds by filling white nylons with marshmallows. Even the adults loved them. Don’t live in DC? Visit your local museum or explore these pieces online with your child–that is some worthwhile screen time. Make your own clouds with blue construction paper, cotton balls and glue. Make umbrellas using a half paper plate and Popsicle stick. We used do-a-dot markers to decorate them. 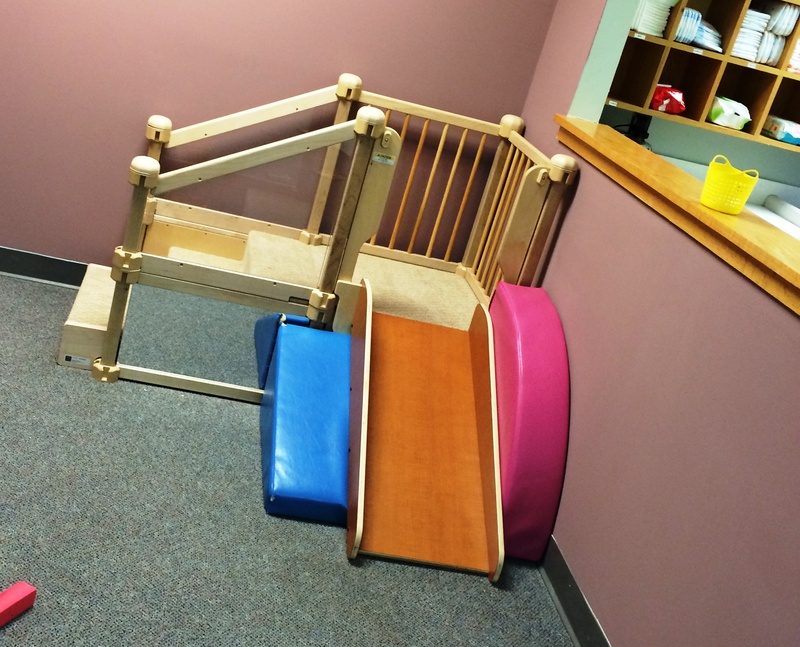 These are not messy and the perfect size for older infants and toddlers to use. Now that you have had some fun with clouds and rain, your child might be interested in other, related topics. Here are a few more ideas! Get out the sand toys and play in the dirt. If you want to keep things a little neater, you can always grab a large tub and fill it with dirt. I find that a little goes a long way. The sensory experience will give infants and toddlers the chance to experience different textures and to practice filling and dumping. 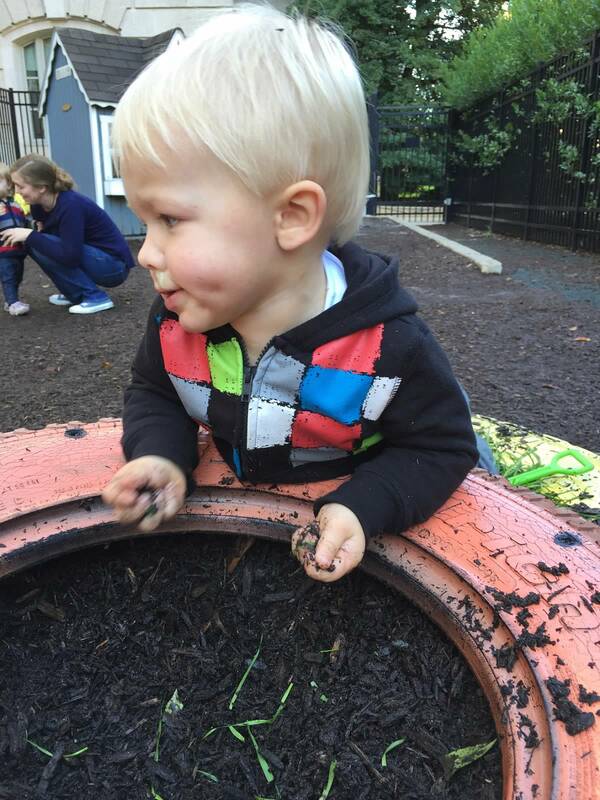 Preschoolers might enjoy the opportunity to plant a few seeds and watch the outcome of their efforts. Not only will they see the physical changes that will occur, but they will likely take ownership and pride in their planting. Local gardens are everywhere! Even if you just visit a neighbor’s garden. 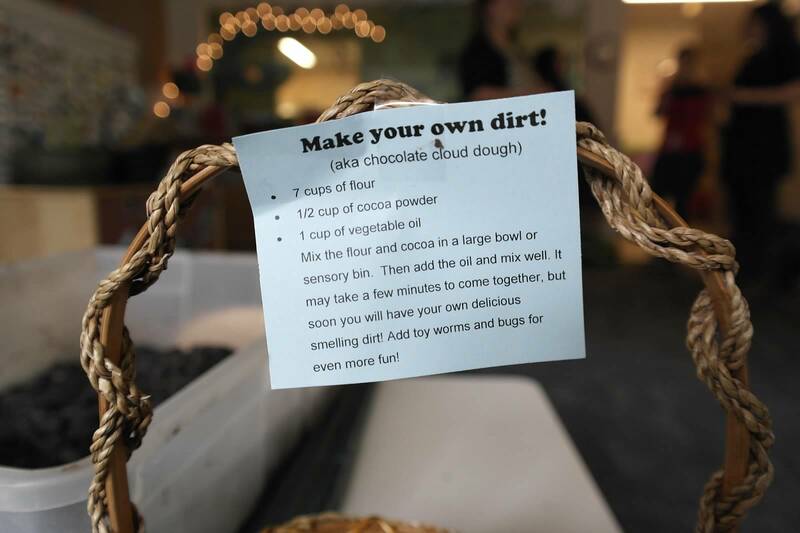 Use this chocolaty recipe for making dirt and include some gummy worms for added realism. The kitchen is a great place for a young child to learn because of the countless learning and developmental opportunities like: math – sorting, counting measuring, fine motor skills – pouring, stirring, sensory input, practice working together and following directions. Lois Ehlert’s books Eating the Alphabet or Planting a Rainbow. Keep visiting us for more ideas. Enjoy your time together and the beautiful spring weather. 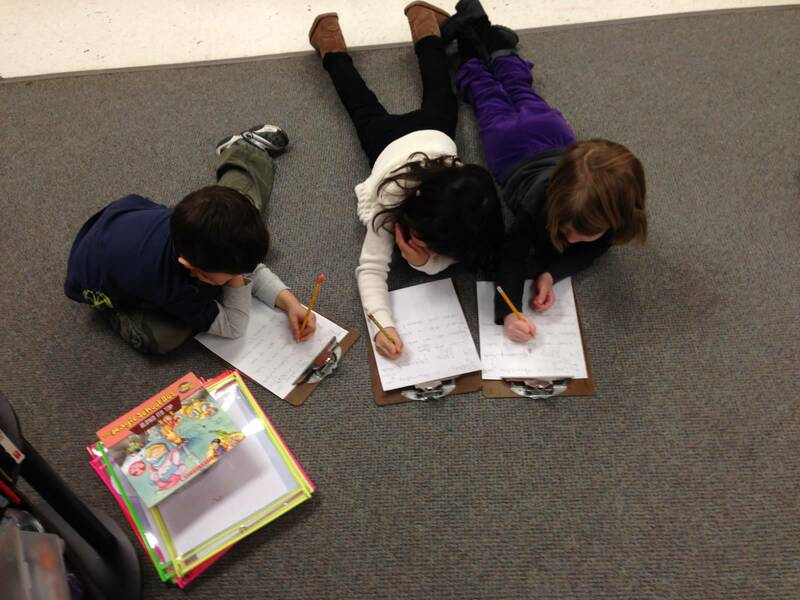 As early childhood educators, we think about arranging classrooms in ways that make sense – i.e. put the art area next to the sink or don’t put a reading area next to a noisy music area. We also think about safety and logistics too — all important. But the environment can be so much more – it can be a comforting, soothing locale that inspires children to learn, create and gain independence. Teachers are challenging themselves to think about how their classroom can engage and empower their students. 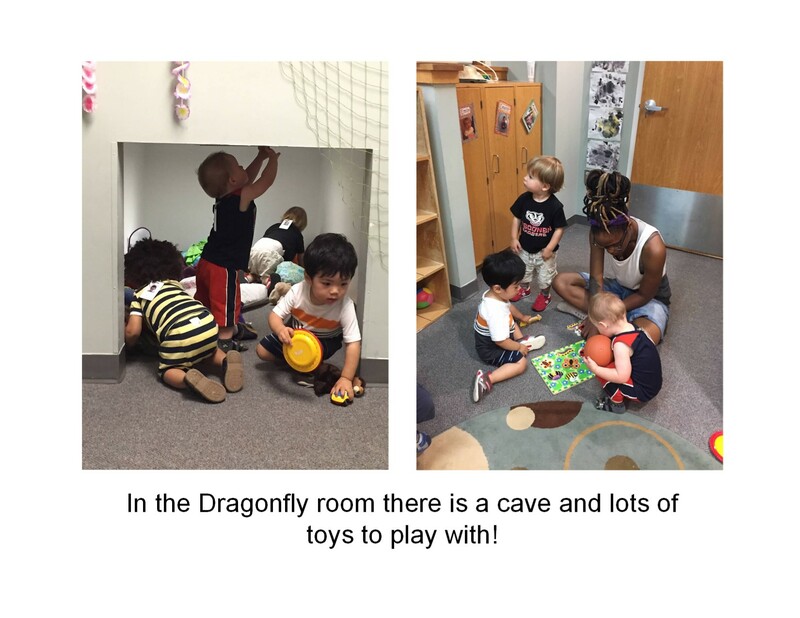 The question of environment is, of course, of much broader scope than this blog, but I thought it would be great to look at some photos of our classrooms to see how our teachers are thinking about their classroom environments. Research has proven that bright colors like red, yellow and orange, can often be over-stimulating. These colors solicit a calmer, more welcoming feeling. 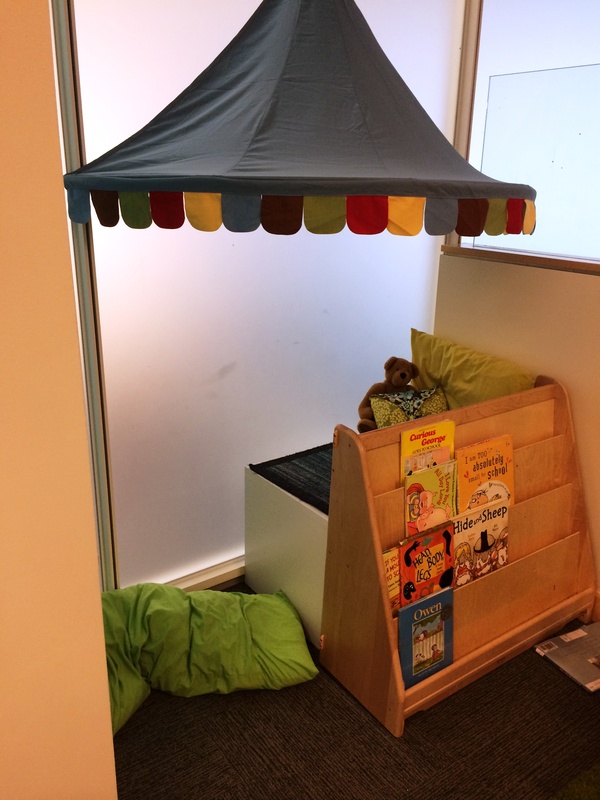 This cozy corner provides a space for reading and a nook where a child can deal with feelings of frustration or anger. The canopy makes it feel especially protected and the green pillows evoke nature and feelings of calm. 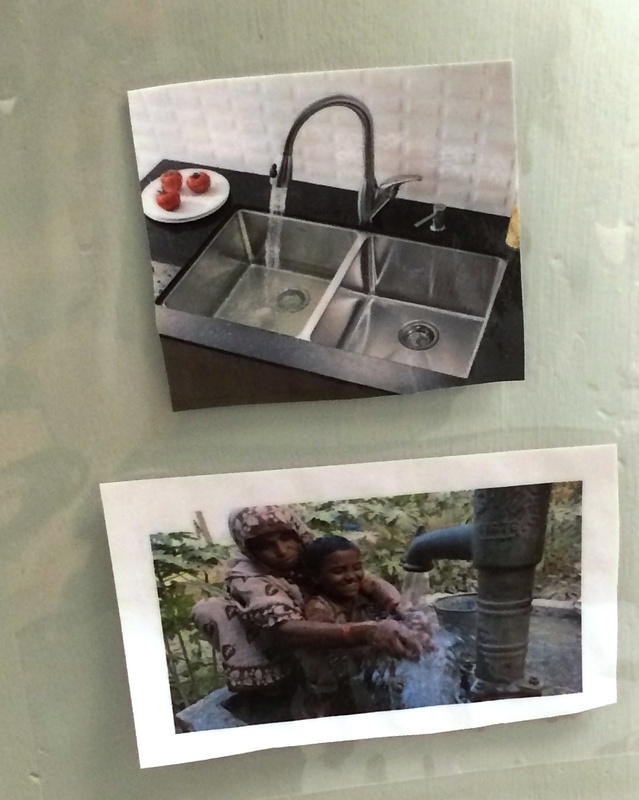 These photos were posted along a seated area in one of our toddler rooms. It portrays something that all children can relate to from multiple perspectives adding a multicultural component. “Computer lab” has never looked so good. 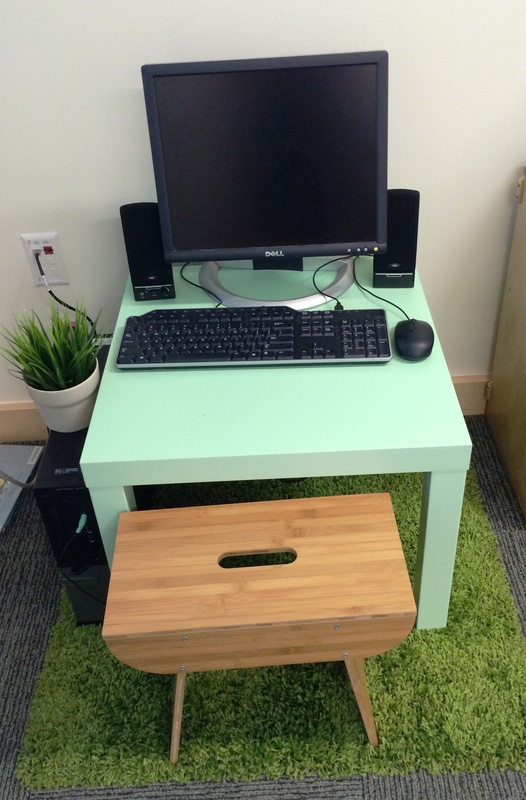 The perfectly sized bench and table encourage the four’s to tinker with the computer. 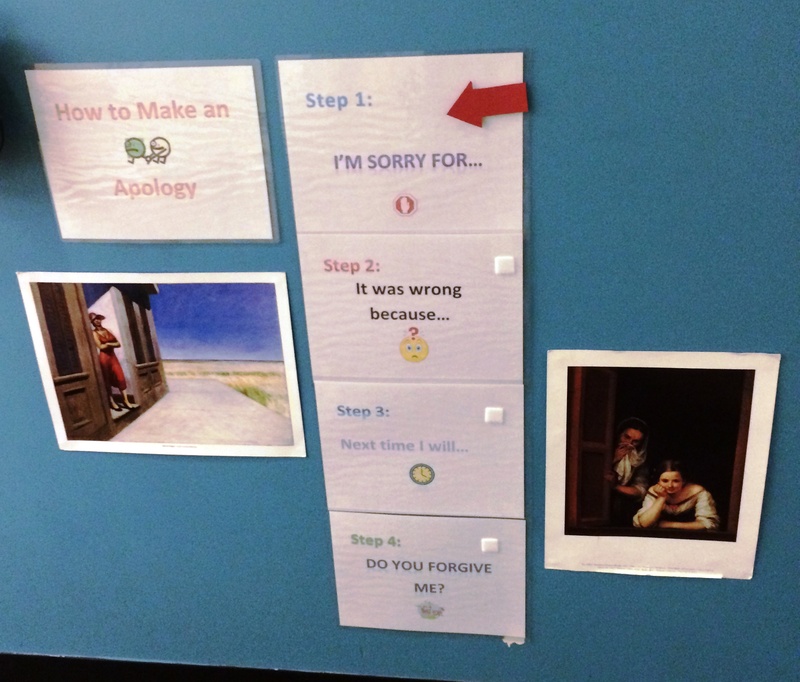 These visual cues help SEEC’s preK class remember their classroom conversations about apologies. Teachers – do you have a space you are particularly proud of? Please share it with us. 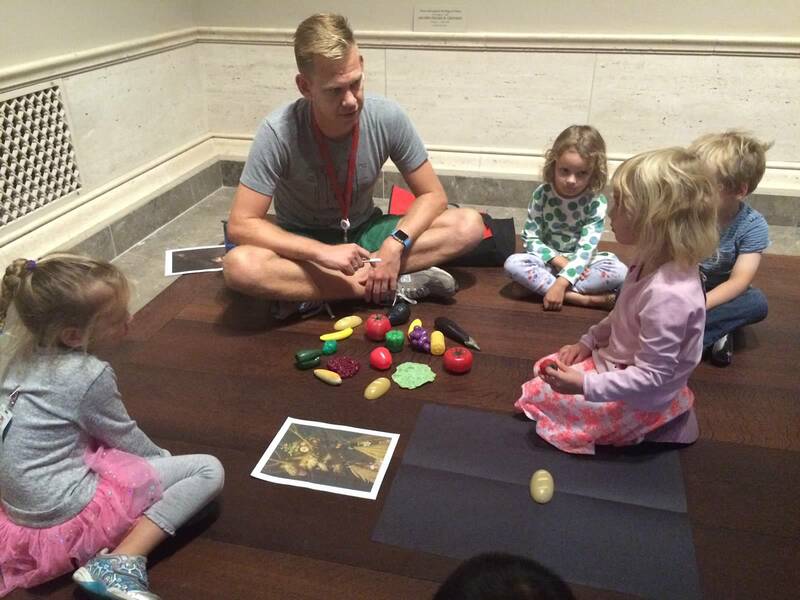 Museum educators – we would also love to see photos of learning spaces in your museums.